Dartmouth College hard liquor ban: President Phil Hanlon says alcohol over 30 proof will be forbidden. Soon anything 30 proof or higher will be banned. Dartmouth College President Phil Hanlon announced on Thursday a campus ban on hard liquor and a number of other measures designed to stabilize the social atmosphere of the school, which revolves heavily around alcohol-fueled parties at fraternities and sororities. The school’s decision comes after a series of embarrassing incidents involving drunken students, a federal investigation into its handling of sexual assault, and a confessional article written by a Dartmouth fraternity brother in the school newspaper that turned into a book deal. Hanlon’s plan, which he intends to implement when the spring term starts on March 30, was rolled out in an interview with campus newspaper the Dartmouth and a speech to students, faculty, staff, and alumni. The College will hire additional Safety and Security officers, train residential life staff to enforce the new policy and require undergraduate advisers to complete inspection rounds of residence halls on “likely drinking nights” — Wednesday through Saturday, according to the proposal. In addition to the liquor ban, Hanlon is making changes to the campus itself to reduce instances of sexual assault and alcohol poisoning, and to help students build social connections outside of the Greek system, which roughly two-thirds of Dartmouth undergrads join. Beginning with the Class of 2019, first-year students will be assigned to one of six communities consisting of a cluster of residence halls that organize social and academic events… Students will remain members of their assigned community throughout their Dartmouth career, including during terms when a student chooses to live in off-campus, Greek or affinity housing. A faculty advisor and a graduate student advisor will live in each community. 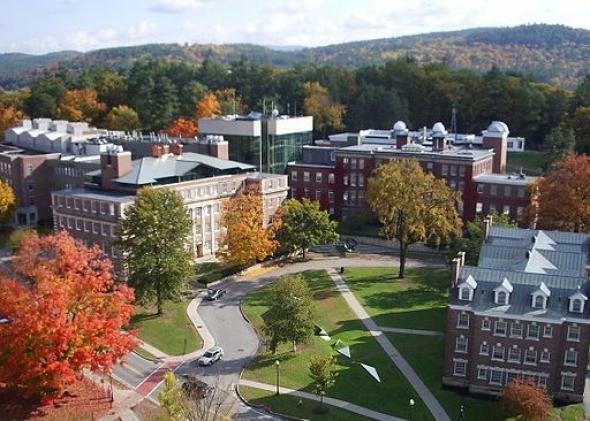 Dartmouth’s isolated location in small-town New Hampshire makes its campus the center of social activity for many students, and a ban on hard liquor could significantly alter the undergraduate experience. If the ban is actually enforced, Hanlon’s tenure as president, now in its second year, might prove a formative time for one of America’s oldest institutions.